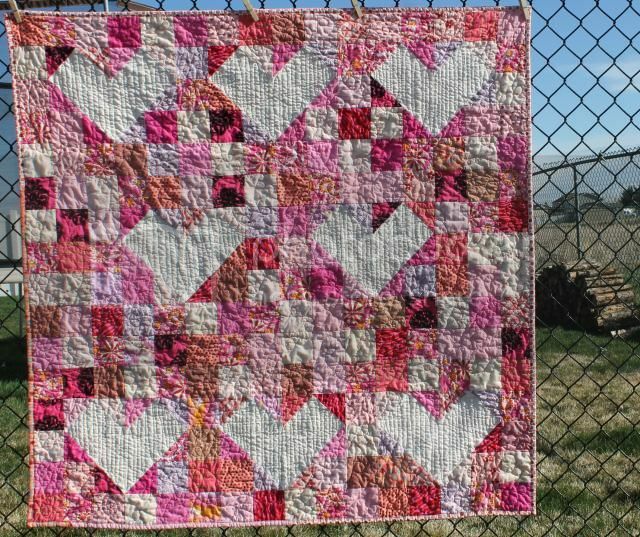 Pretty in Pink - Finished! 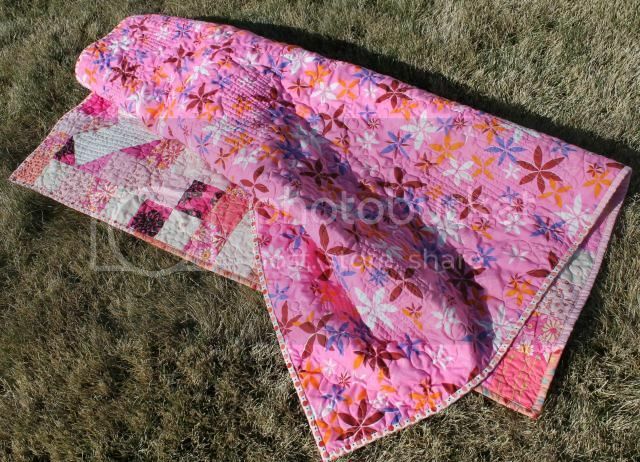 A finish made entirely of scraps and stash! That has to be my favorite kind. 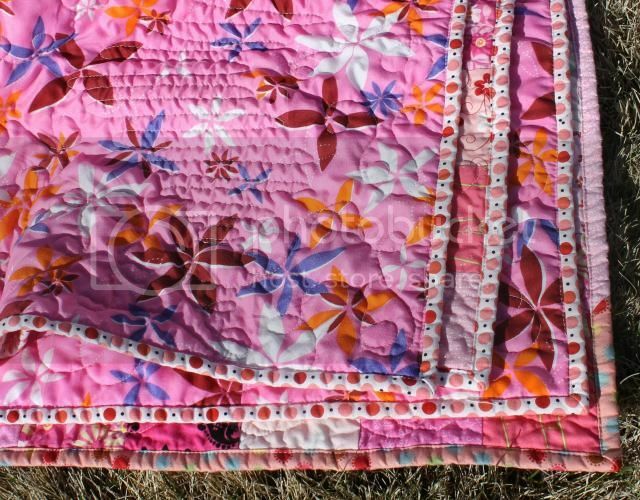 This quilt was inspired by my overflowing pink scrap bin, and Jasmine's Reverse Stars. I chose 3" finished squares because that was the size of the Kona scrap I had leftover from the chevron top. In retrospect, I probably would have made less hearts. They ended up being a little hard to space out on the top, and they're a bit more overwhelming than I was going for. 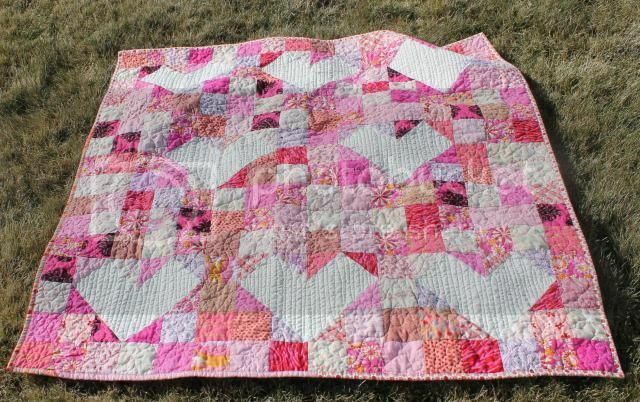 Plus, I could have used more pink scraps! 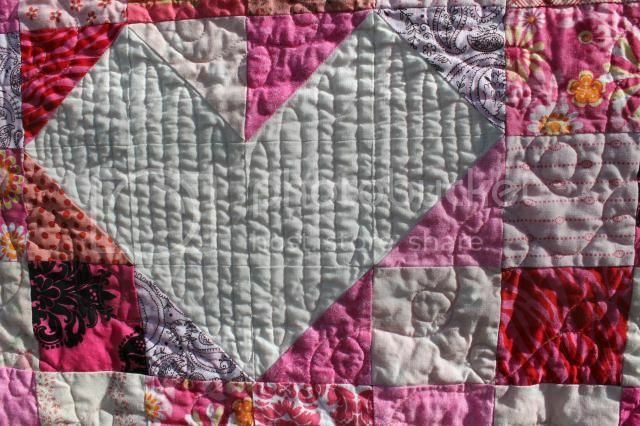 I quilted the pink portions in loose loops, then tighter-but-not-really-matchstick in the hearts. The binding is also scrappy - lots of 2.5" strips! Definitely something I would do again - I can close the top of the pink scrap bin now! And since it was all pink, I could just ignore the fact that some of the fabrics were glaringly bright. Feline Friday @ Sarah Did It!